Below The Turret Ring: Challenger 2 LEP bidders downselected; tank to get new turret and new gun? Challenger 2 LEP bidders downselected; tank to get new turret and new gun? Two bidders for the life extension programme (LEP) of the British Challenger 2 main battle tank (MBT) have been shortlisted by the UK ministry of defence (MoD). The shortlisted companies will be contracted in the next few weeks for the production of two prototypes worth €25.8 million each. After a 24 month long assessment phase, the final production contract will be made with one of the downselected contenders. 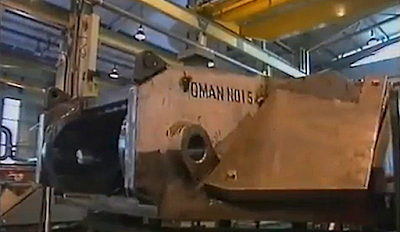 In case of unforseen issues, a further €7.8 million can be allocated by the British MoD. Originally the contracts were expected to be signed in October, but the project was apparently delayed, so that currently contracts are expected to be signed in December of 2016. The Challenger 2 LEP is part of the Armour (MBT) 2025 project, which is meant to ensure the Challenger 2 remaining competitive in the timeframe from 2025 to 2035. After General Dynamics decided to join the Team Challenger 2 lead by BAE Systems, the original predictions from our overview - suggesting that both BAE Systems and General Dynamics would be awarded separate contracts due to their ties and involvment with the British MoD and industry - were rendered obsolete. While the British MoD shortlisted Team Challenger 2, it also shortlisted the German defence company Rheinmetall. Rheinmetall has teamed up with Supacat, Thales UK and BMT; it is also cooperating with Supacat as part of the LAND 400 phase 2 proposal of the Boxer CRV for the Australian Army. The British MoD choice effectively eliminated all other biding companies, which were the Belgian CMI Defence (in a team with Ricardo), the German company KMW (teamed up with Pearson Engineering), the Swiss company RUAG and Lockheed-Martin UK, which teamed with the Israeli company Elbit Systems for a last minute offer. An important new detail about Rheinmetall's offer has been made public by the defence and industry news agency Jane's IHS. The upgrade concept offered by Rheinmetall includes the replacement of the old commander's sight with the Seoss stabilized electro-optical sighting system, which features a third-generation thermal imager, an eyesafe laser rangefinder and a daysight CCD camera. The Seoss is also used on the Boxer CRV and on the MBT Advanced Technology Demonstrator. The SAS 360° situational awareness system is installed on the turret roof, enabling the crew to better observe the tank's surroundings. In case of the renderings from Rheinmetall's Challenger 2 LEP proposal it includes an additional module to work as a laser warning system (LWS). Not entierely sure is the status of the gunner's sight and the Pilkington Optronics TOGS-2 thermal imager. The renderings from Rheinmetall still include the armored box of the TOGS-2, which is located ontop of the gun mantlet. If the gunner's sight is replaced, why would the old box ontop of the gun mantlet be kept? On the other hand Rheinmetall's renderings show no opening at the front of the mantlet-mounted box, which makes it impossible to house any sort of optics inside of it. Also the original news article on Rheinmetall's proposal from Jane's IHS spoke of "optronics" (plural), which might imply that the TOGS-2 and gunner's sight will also be replaced. 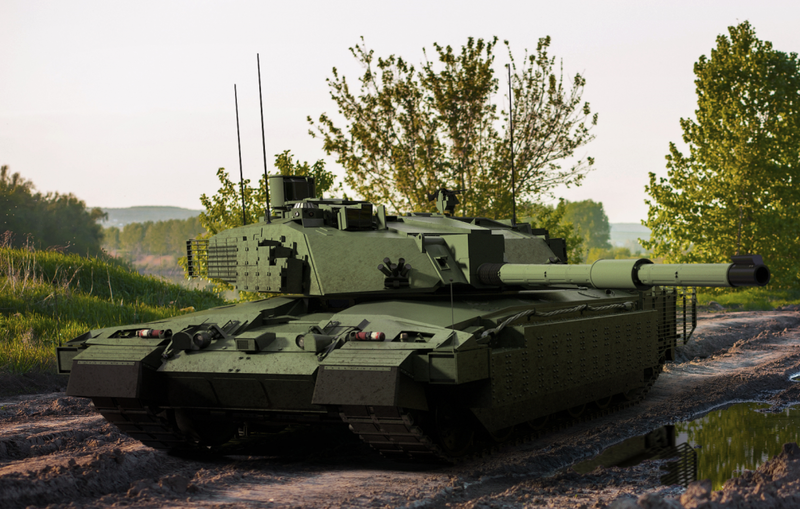 The Challenger 2 LEP proposal also includes the installation of a new fire control system with a modern electronic architecture. It seems very likely that new fully electric gun and turret drives are also part of the upgrade. The base armor of the the Challenger 2 is not known to have received any upgrades since the tank originally entered service with the British Army in 1998. The canceled Challenger 2 Lethality Improvement Programme (CLIP) included planned upgrades to firepower, observation devices and survivability. It also included the installation and testing of the Rheinmetall L/55 smoothbore gun under the 120 mm Smoothbore Option Technical Demonstrator Programme (SO TDP). This lead to the creation of the Challenger 2 Hybrid Ordnance (CHORD), a gun combining parts of the L30A1 gun and Rheinmetall's L/55, which was meant to reduce logisitics and costs. Aside of the SO TDP, the gun and turret drives should be replaced, the optronics would have been upgraded and the survivability would be enhanced by either installing an active protection system (APS) or by upgrading the tank's armor. The CLIP however was canceled and became part of the Challenger 2 Capability Sustainment Programme (C2 CSP), which itself ended up being canceled due to a lack of funds. The British Army even considered buying a completely new tank in response to the questionable lethality of the rifled 120 mm L30A1 tank gun against newer Russian tanks such as the T-14 Armata. The L/55 firing the German DM53 round with tungsten penetrator proved to be superior in penetrating different armor targets compared to the L27 CHARM-3 APFSDS of the Challenger 2's L30A1 gun, despite the latter featuring a depleted uranium penetrator. This is a strong advantage speaking together with the larger array of available ammunition - including the latest 120 mm DM11 programmable HE-ABM (high-explosive, air-burst mode) round - for choosing to adopt the L/55 gun without modifications or as CHORD variant. Aside of the option to replace the L30A1 rifled gun with it's current 120 mm L/55 smoothbore gun, the German company also offers to remodel or replace the Challenger 2 turret structure. If chosen by the British MoD, this option will also include a new modular armor system, which allows easier replacement of damaged armor modules and faster upgrading of the tank's armor composition and thickness. This step might be required to mount the L/55 smoothbore gun, as the old CLIP prototype was only able to hold six rounds of the larger 120 x 570 mm unitary ammunition used by the German smoothbore gun. The British Army considered remodelling the turret interior as part of the CLIP to be too expensive. What type of armor would be used on the Challenger 2, if the British MoD was willing to pay for the new turret structure from Rheinmetall, is not known. A subsidiary of the German company known as Rheinmetall Chempro is however manufacturing the AMAP composite armor designed by IBD Deisenroth. The AMAP brand includes a wide variety of armor designs, some of which have been used to upgrade the Leopard 2 tanks of Indonesia, Poland and Singapore. 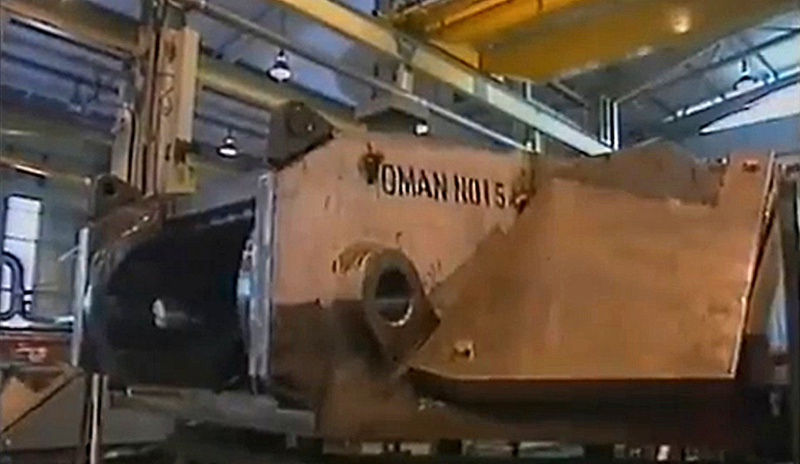 It is also used to protect light and medium weight vehicles, such as the Iveco LMV, the Puma IFV and Boxer. The AMAP armor is offered either as modernization for existing platfroms or as protection for new vehicle designs. It consists of a wider variety of sub-variants, making use of nano-metric steel, nano-ceramics, composite fibre materials and is used as laminated, spaced and non-energetic/explosive reactive armor (NERA or NxRA), depending on application. It seems most likely that Rheinmetall will offer an upgrade of the Challenger 2 featuring AMAP armor. The Challenger 2 was fitted with a comprehensive applique armor kit as urgent operational requirement (UOR) for meeting the protection levels required for the assymetrical combat in Iraq. Being adopted as part of an UOR, the new armor kit was rushed in service. It was an already existing off-the-shelf product, which was available on the market (probably even already tested by the British MoD). The Challenger 2 did not receive a new proper, purpose-made armor kit, which might have been better adopted to the Challenger 2's design, while possibly being lighter and more efficient. As a result of the theater entry standard (TES) armor kits adopted as UOR, the weight of the Challenger 2 up-armored to the latest configuration, known as TES (Herrick) or TES(H), has grown to nearly 75 metric tons - this makes the Challenger 2 probably the heaviest tank currently in service! The Challenger 2 however still features only a 1,200 hp Perkins Condor CV12 engine. By using AMAP armor, it might be possible to reduce the weight of the Challenger 2 MBT to less than 70 or even less than 68 tons, while retaining a similar protection level. Nano-ceramics as featured in AMAP provide a weight reduction of more than 40% compared to conventional ceramic armor. The weight savings from nano-metric steel are not as drastic, but reducing the steel mass by 17% (when using nano-metric steel in combination with composite fibre spall liners) can also be impactful. The weight of a Leopard 2 Evolution tank - i.e. a Leopard 2A4 fitted with new AMAP modules - is about 60 metric tons, or about five metric tons more than the Leopard 2A4. The Leopard 2 Evolution upgrade includes a mine-protection kit, additional side armor modules and roof armor, while also featuring the option of using the ADS system to defeat incoming tank and anti-tank ammunition. 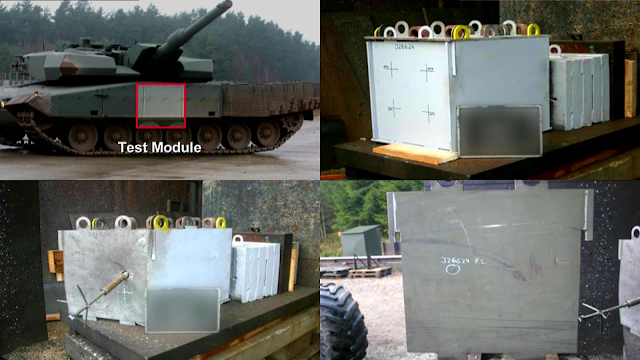 In case of the Leopard 2 Evolution, the side armor of the tank was capable of resisting the PG-7VLT ammunition with tandem warhead, which can penetrate more than 500 mm of steel armor after defeating explosive reactive armor (ERA). In static tests, a similar thick array of AMAP was also capable of protecting against the PG-7VR round (fitted with the same warhead as used by the RPG-29 ammunition), which is capable of penetrating up to 750 mm steel armor (600 mm after ERA). It is not known if the Challenger 2's side-armor - consisting of ERA manufactured by the Israeli company Rafael mounted ontop of a thinner layer of passive armor - is capable of protecting against ammunition with tandem shaped charge warhead arrangements. However even if it is capable of doing so, the advantage of a passive/non-explosive system is a much greater multi-hit capability, leaving less exposed area after protecting against a RPG or an ATGM. The integration of the German MUSS softkill active protection system (APS) into British combat vehicles is being tested by QinetiQ on behalf of the British MoD. 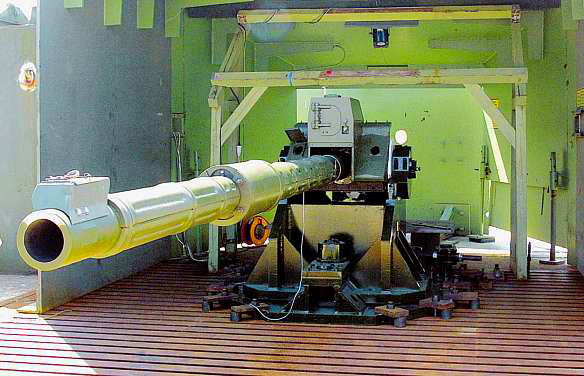 Given that the Rheinmetall L/55 gun was already adopted in 2001 and the MUSS APS was already successfully tested on the Leopard 2A5 in 2006 - the rather late adoption of the MUSS APS in the actual army service was the result of the delays in the Puma's development, most of which resulted in changed requirements - one has again to wonder about the sense in the Challenger 2 modernization. 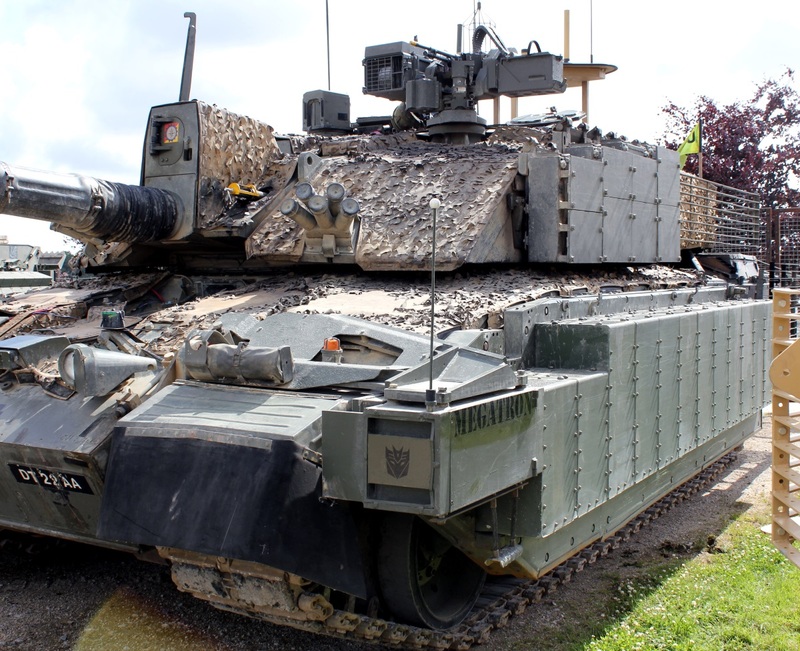 In the end the tank is meant to remain in service until at least 2035, while the original Challenger 2 configuration was meant to stay active until 2025. The series production of the Challenger 2 LEP is expected to not start before 2020, at this time the L/55 gun will be 19 years old... and it isn't even secured, that Rheinmetall's optional offer will be purchased by the UK MoD. The Team Challenger 2 has more ties to the British industry and government, a factor which never should be overlooked. France has already decided to upgrade the Leclerc tank. Germany is about to adopt an upgraded version of the Leopard 2A7, which as announced by Rheinmetall will be the first tank to feature the upgraded L/55A1 tank gun, which will increase the performance (range/armor penetration) by 20%. This gun is not known to be offered as part of the Challenger 2 LEP proposal, but it would be a clear and rather simple upgrade path for the future. Both Germany and France are currently co-developing a next generation tank armed with a 130 mm smoothbore gun called the Main Ground Combat System (MGCS). According to the German defence magazine ESUT, the British MoD has not yet shown any interest in this project. Great article as always, I was wondering what do you think the chance of Rheinmetall winning the contract seeing as BAE systems has such a large presence in the UK defence industry. And do you think that LEP would include a new power pack, new armour system and new main armament offer by Rheinmetall seeing as LEP appears to be limited in scope. Well, i know both BAE System and Rheinmetall are great building armor vehicle and weapon system. Yet, Germany and British has experienced making Tanks before and after WW2 which fighting for Challenger 2 LEP bid will be longer. Although, the German Rheinmetall has more benefit over Bae System which idk how to say for this part but let just say the Rheinmetall has been export their state-of-the-art system and weapon across the nation. I don't think British Army is affordable to replace the main gun for Challenger 2, the budget of this program definitely has gotten reduced from 600 million to 250 million GBP. According to the analysis from the former improvement "CLIP" which was cancelled, the rebuilding of the ammo storage for Chally2 cost about 386 million GBP. Will the LEP be for all the British Tanks or just for those in active service?